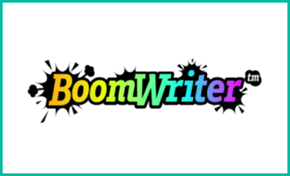 BoomWriter is an online collaborative writing tool for upper elementary and secondary students. It’s currently in use in over 40,000 classrooms, across 50 countries. BoomWriter offers three separate tools for helping students develop their writing skills: StoryWriter, WordWriter, and ProjectWriter. We’ll explore each of these throughout the course of this review, which you can continue reading on our Review’s Page.